Step up to a new level of Carrier Services and maximize enterprise connectivity. It’s clear that the winners in business will be the companies that best leverage existing and emerging communications technologies. But keeping up with advances while keeping it all working can be a real challenge for telco and IT managers. WorxOne® eliminates the complexities of enterprise voice and data system management. 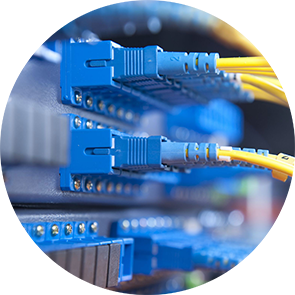 We offer a single-source, all-inclusive solution that gives businesses rapid, streamlined, and steadfast connectivity regardless of bandwidth or service requirements. And we do it with an exhaustive approach to cost savings. Our extensive carrier offerings are supported by nationwide professional services for simplified management of the entire system. One call to WorxOne gives you access to complete connectivity and installation services on both sides of the DMARC for end-to-end accountability and full visibility of your entire enterprise telecom structure. Whether you have one building or thousands of locations across North America, WorxOne is the sensible solution for state-of-the-art voice and data connectivity, expertly managed to benefit the entire enterprise.